When Blessy and Benson first hired me I was honored to be chosen by such a lovely couple! 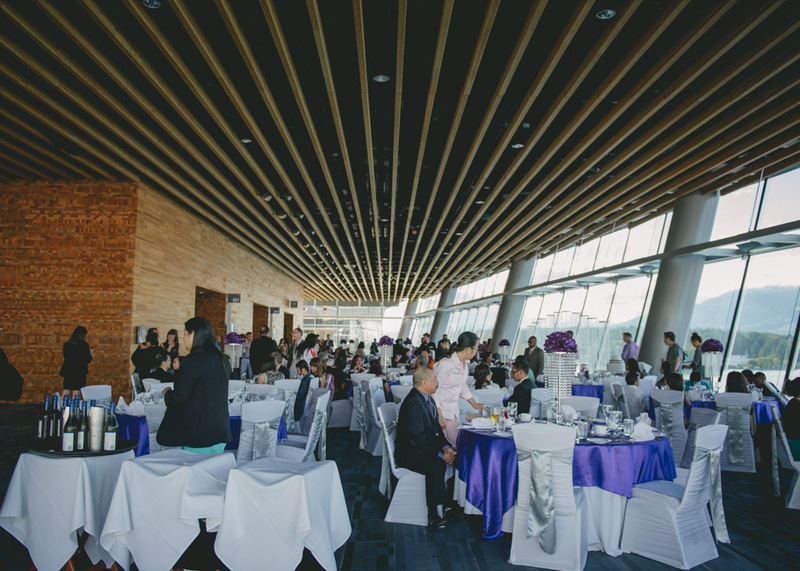 While they already possessed a clear vision for their wedding, they wanted to enlist a Certified Wedding Planner to assure things went smoothly. 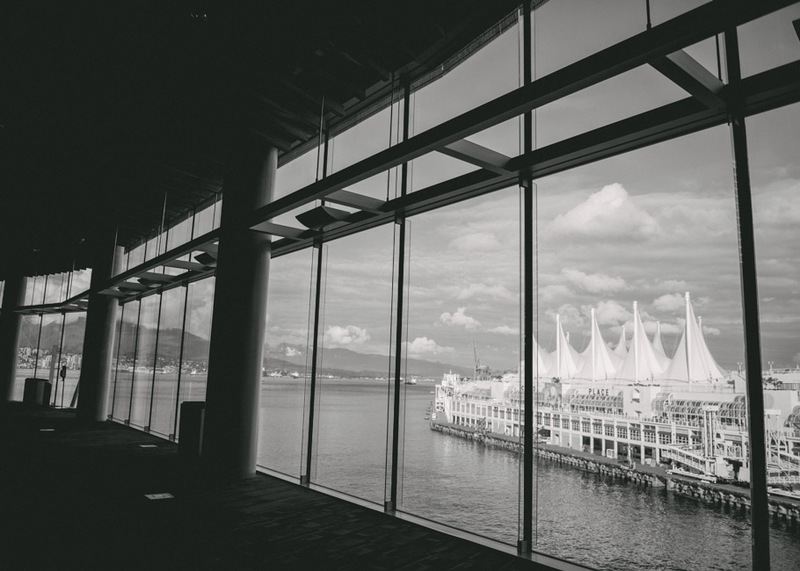 Two-hundred lucky guests were invited to this lavish event at one of the city's most desirable venues, the Vancouver Convention Centre. Needless to say, a wedding of this size is a huge undertaking. Fortunately, I was ready to tackle the details so they could focus on what matters most; friends, family and each other. This pair has absolutely wonderful taste. 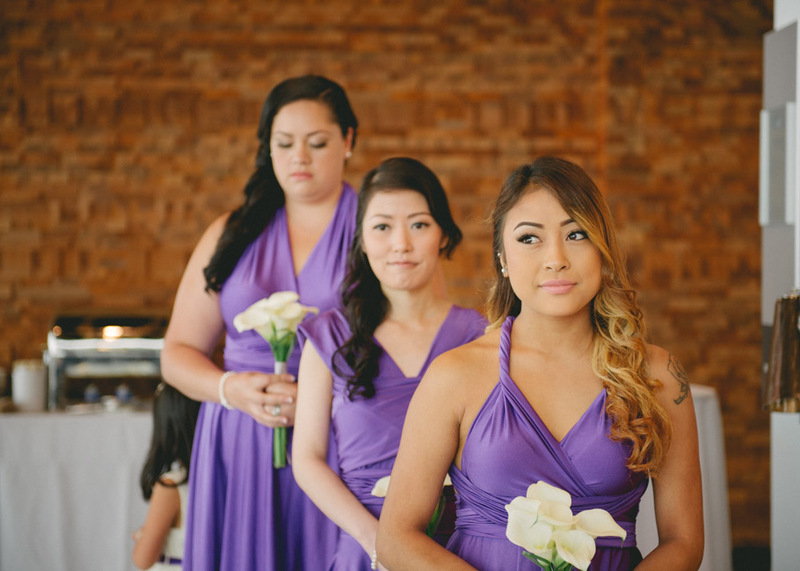 They chose a regal and timeless color palette of purple and silver; talk about glamorous! The photos say it all, everything looked absolutely stunning. The day went off without a hitch...until the rain showed up. Fortunately, I always assure there is a bad weather backup plan in place. My team and I facilitated the move indoors and nobody would have guessed we had gone to Plan B. The ceremony was both beautiful and heartfelt. The wet weather stayed outside but there wasn't a dry eye in the building! The highlight of my evening was seeing how each guest was sharing in the joy. There was zero doubt people were having a great time! When the DJ turned on the Electric Slide, every guest was out on the dance floor! Now THAT is a party! What vision do you have for your special day? Let's meet for coffee and talk about how hiring a Certified Wedding Planner can help you pull off the wedding you've always dreamed of. P.S. Check out these lovely images from Hera Films.